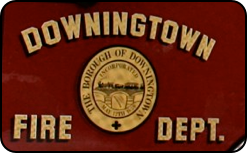 Established in 1908 to protect the East Ward, Minquas Fire Co# 2 responds in conjunction with the Alert Fire Co# 1 serving the Borough of Downingtown & East Caln. The company’s history includes operating an opera house as a means of revenue and responding since 1909 from the same firehouse which has remained largely unchanged with the exception of two bowling alleys added in the 1930’s for revenue and a social room added in 1948 to replace the gymnasium that hosted community basketball games. Engine 46-2 - 2006 American LaFrance Eagle 2,000 gpm/750 gal. 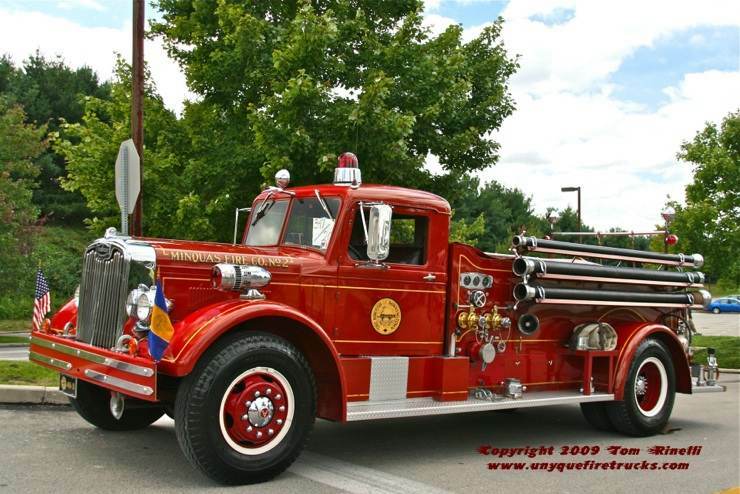 1-3/4" front bumper line, three 200' crosslays (2" & 2-1/2”, packed minuteman style), a rear 300' 2" pre-connect, rear 200' 3" with portable monitor, 500' of 3" leader line with a water thief, 1,700' of 5" LDH supply line & a 200' electric cord reel. 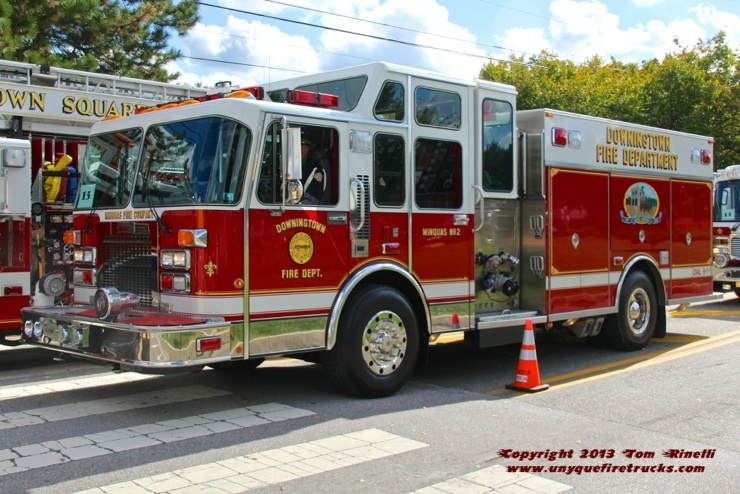 Assigned first due for air bank assist & water rescue calls, this rig which seats six (5 with SCBA) features six 6,000 psi cylinders, a two cylinder fill station, (1) 100’ low pressure & (2) 150’ high pressure air reels, a 40 kw PTO generator, (4) 200’ cord reels, two 9,000 watt light towers, (6) 750 watt portable tri-pod lights, dual awnings and a back-up camera system. 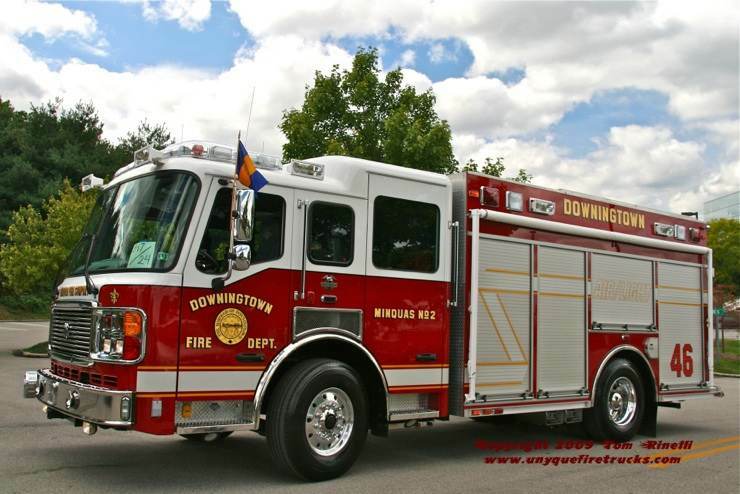 It is equipped with (4) confined space SCBA, two 300’ air hose air carts, water rescue, rehab & mass casualty equipment. 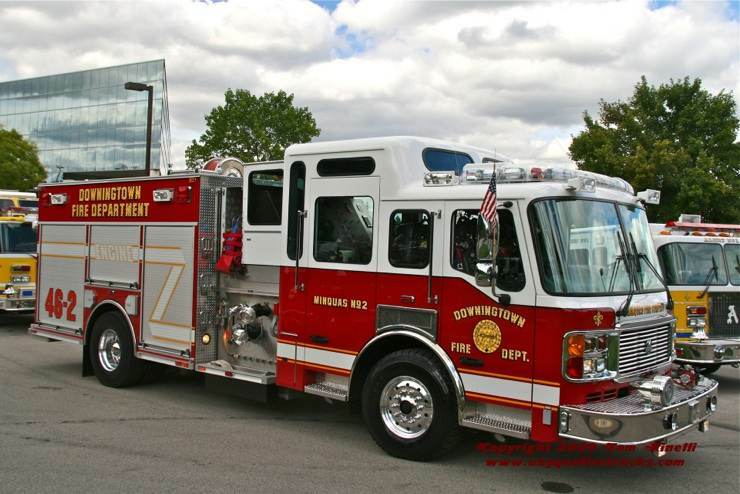 Engine 46-1 - 1994 Spartan/Saulsbury 2,000 gpm/750 gal. This rig is first out on all fire calls in Minquas first due coverage area, automatic fire alarms and wires down/transformer calls. Seating six (5 with SCBA), it features an enclosed top mount pump panel. Its’ equipment complement includes four 200' 2” crosslays (two packed in a “minuteman load”, two packed in triple pack style), a rear 200' 2" pre-connect (loaded in triple pack style), 500' of 3" leader line with a water thief, 1,700' of 5" LDH supply line, 48’ of ground ladders and a Foam Pro Pack.